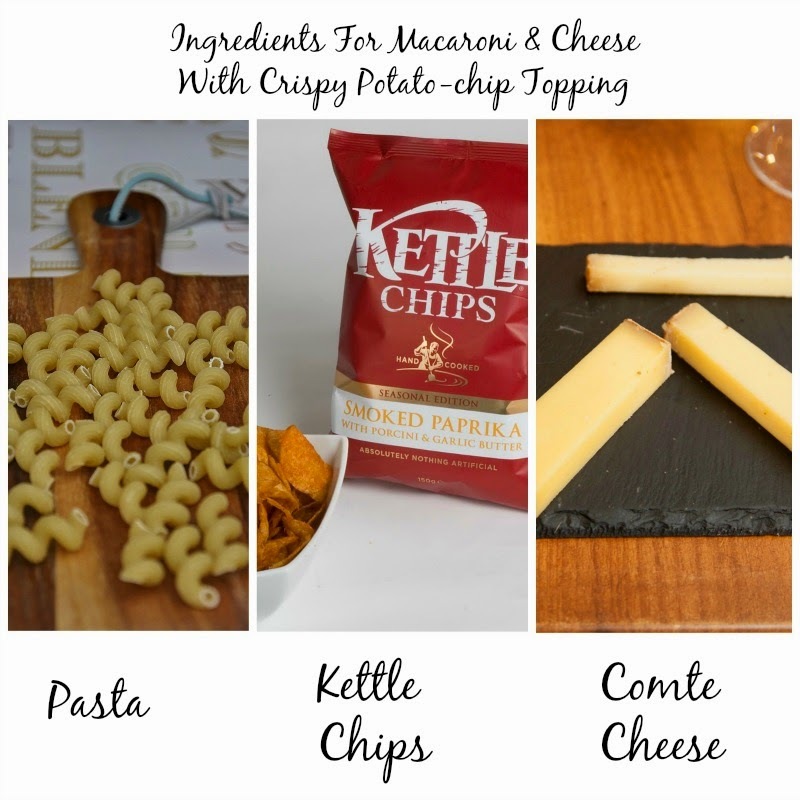 Kitchen Karma: Curling Up on Winter Afternoons with Macaroni & Cheese using Comté Cheese and Kettle Chips! I feel winter in the UK has two parts-- the part before Christmas and the part after. Of course the before part is way more fun, even though the after part has the new year, the sales and St Valentine's Day. The before has all those twinkling lights, the glitzy decors, the shops overflowing with gifts, Christmas songs being played everywhere, fairs and markets all over the place, Secret Santas, planning on in full swing, the air crackles with an anticipation and buzz which I love. Many people say that Christmas has gone terribly commercial, maybe it has. But that does not dampen my spirits. I love all of it, the shopping, the planning, the preparations. London is in the middle of her Christmas preparations. The city looks beautiful around this time, specially in the evenings with all the sparkling lights on. Some photographs of London from my lens. This is the busy time of the year and a lot is happening. Sometimes I feel like I need to run to keep pace. But then don't we all feel like that from time to time? Rather let's talk about something more interesting. Let's talk about food. Recently I attended two cool food events. First was the launch of a new flavour of Kettle Chips--Smoked Paprika, Porcini and Garlic Butter. It was a fun evening with us relaxing on plush seats to watch Bridget Jones Dairy yet again, while munching on Kettle Chips. They served the chips with a really interesting dip which made it more fun. The next event which I attended was a Comté cheese tasting event at the La Cave, London. This was my first cheese tasting event and I could not have started with any better cheese. The evening was made special by Claire Perrot who led the tasting. 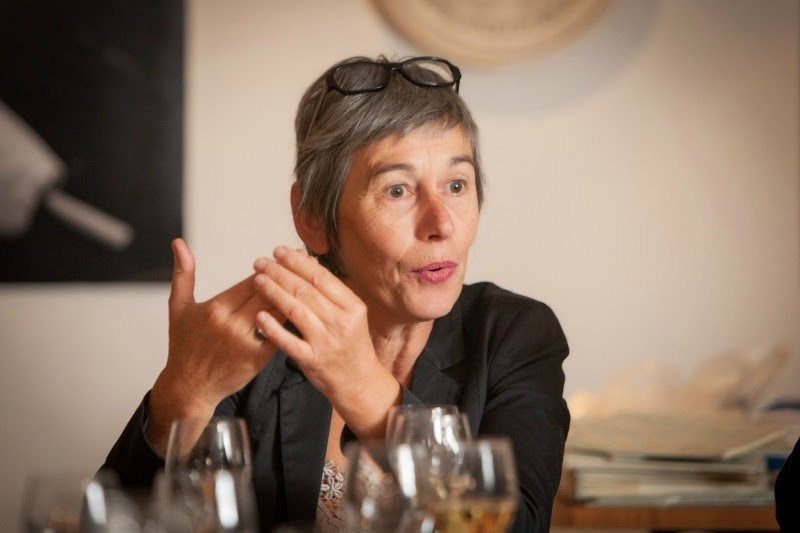 Claire is very passionate about Comté, the whole process, the mountainous region where this cheese comes from, what makes a Comté and how some cheese remain white and fail to make the grade. It was very interesting hearing Claire talk. Not too much of a red wine person, but the wine and cheese pairing that Claire did for us was perfect. Needless to say I came home with a big bag of Kettle chips and some Comté cheese. Having consumed half a bag of chips while watching the movie I was not keen on another chips binge. So I decided to cook something with the chips. Same with the cheese. At the tasting I had consumed a lot of cheese because it was so very tasty. Now I wanted to see how Comté tasted when cooked. Me being the lazy one decided to punch both of them and made an extremely cheesey macaroni cheese with crispy potato-chip topping. The original recipe is Chef John's which you can find here. 1. Heat a non stick frying pan, reduce the flame and add the breadcrumbs and toast them light brown. 2. While the breadcrumbs are toasting, bash the potato-chips with a rolling pin. Be careful not to make a fine dust, stop while there are still some fairly semi big pieces left. 3. Add this to the pan and continue toasting. 4. Stir at regular intervals, toast till the potato-chip pieces have turned golden brown and it smells really nice. 5. Switch off the heat and add the cheese and mix throughly. The cheese will melt in the heat and cling to the breadcrumbs and potato-chip pieces. 6. Make this before starting on the macaroni and cheese and keep aside. 1. In a heavy bottomed pan, melt the butter, add the flour and mix the butter and the flour well. Butter may burn rather quickly, so reduce the flame to low medium. 2. Add the spices--dried thyme and cayenne pepper. 3. Add the milk, cold a little at a time, and keep mixing. Cold milk is the secret to a lump free smooth sauce. 4. While the sauce is cooking grate some nutmeg, Worcestershire sauce and the salt. 5. Turn off the heat and add the cheese, mixing throughly. 6. Add the Dijon mustard to the sauce. 7. Boil the macaroni according to instructions at the back of it's packet and add it to the sauce. 8. Sprinkle the potato-chip topping and serve hot. Wow..really very healthy and crunchy one bowl dish. This is such a deliciously written piece- with the pics and all it made my winter Monday a tad warmer! 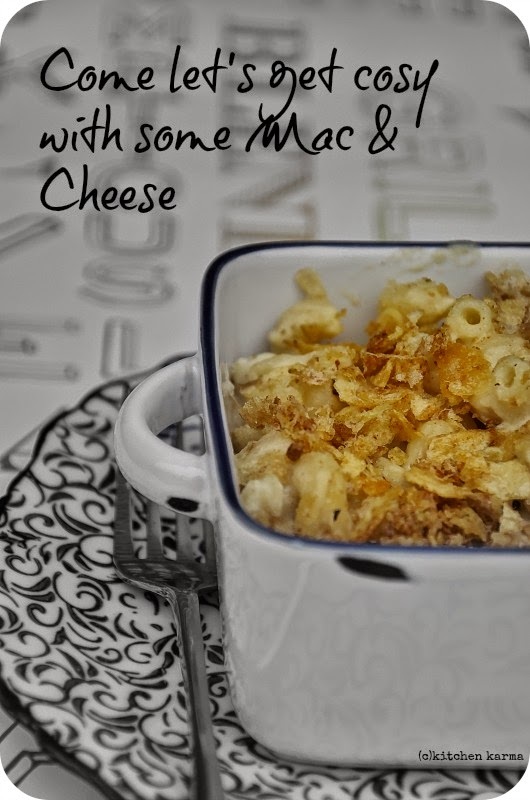 Mac and cheese is one of my comfort foods and now more than ever you've made me want to try it your way! May be not Kettle and may be not Comte, the rest I will make sure I follow! Suchi , just love the way you've described the beginning (?) of winter season in your side of the world ! 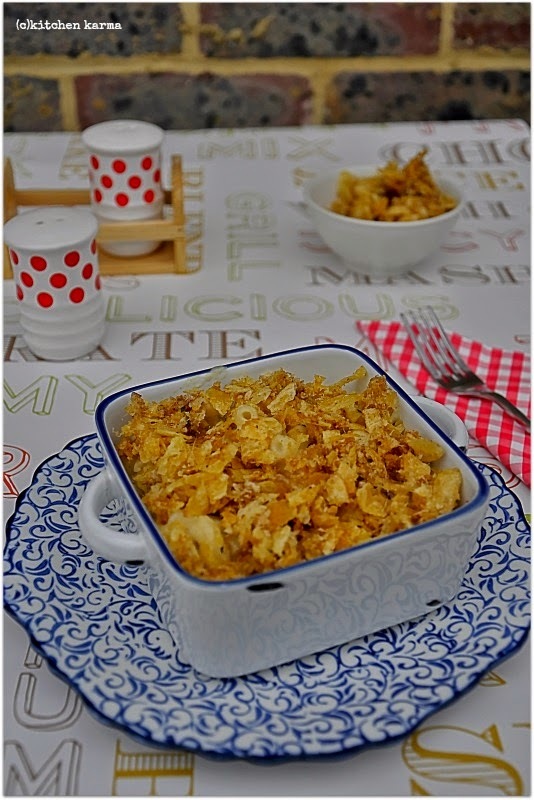 Good thing that we don't have that kind of bone-chilling winter here lol Okay , I'll stop sighing over the combination of Kettle chips and cheese :D Delicious and comforting dish eventhough I don't like macaroni , don't ask why :P Your square serving bowl is pretty dandy ! Must be nice and crunchy. This is quite interesting really n I love ur pics always..
One of the pics looks like Kingston square where they have the farmers market. 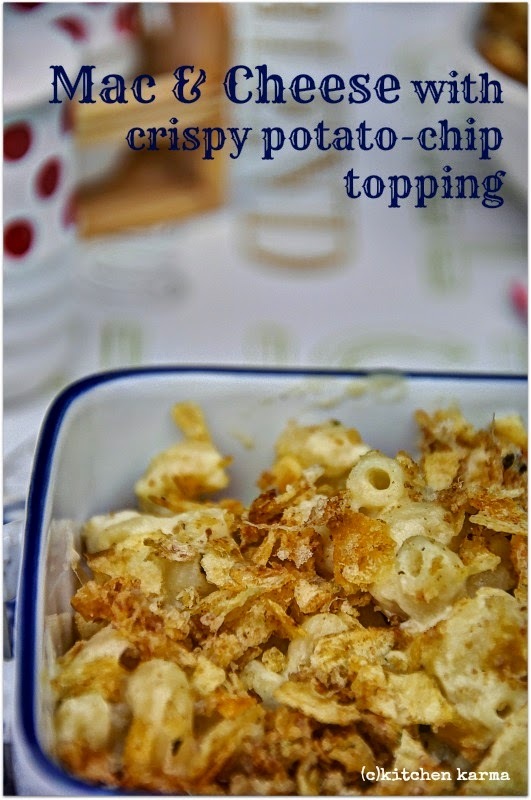 Mac and cheese, topped with chips, would love to taste this combo, looks very tempting..
Suchi, What a lovely blog this is! Your pictures are making me so so nostalgic .... I miss London so much! 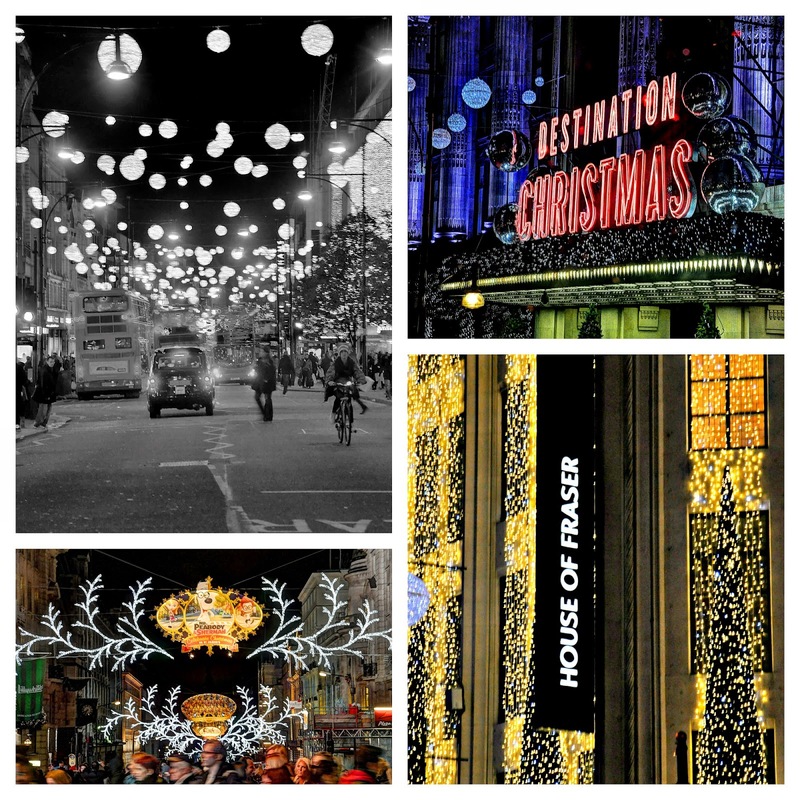 It must be amazing during Christmas ...I was in London about a month ago! Its my most favorite city in the whole world!! There's so such thing as too much Mac & Cheese. Loved this recipe, all the way to the use of two of my favourite flavours: thyme and cayenne. You have created such a comforting meal with the chips and cheese. I bet it tastes oh so good. I must remember the next time I make Mac N Cheese, which will be very soon, lol...Thank you so much for sharing your thoughts and your recipe Suchi. I love this time of year!!! Loved ur little poetic description Of winter,,winter seems so beautiful in ur pics and in ur words..
Hi Suchi, Hope you enjoy the both parts of the Christmas. Great to see that you had a lot of fun in the cheese tasting event. The potatoes look so delicious and mouthwatering. Hi Suchi, how you doing? Your mac and cheese look really awesome. Thanks for sharing your recipe and the beautiful pictures. Hi Suchi,great pics and equally good recipe.Will try soon.